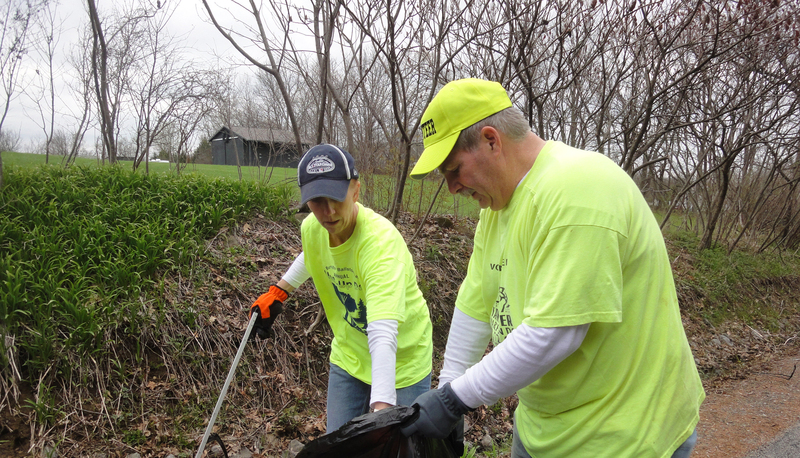 BALLSTON LAKE, NY --- Volunteers are requested to join in with scores of Ballston Lake / Town of Ballston residents who will be participating in the community’s annual Clean Up Day. We will meet at the Ballston Lake Fire Department located at 1125 Ballston Lake Rd, Ballston Lake, NY 12019 to get our road assignments. The cleanup is scheduled for Saturday, May 7 beginning at 8 AM. The annual event, which dates back to the mid 1970s is organized as a partnership with the Ballston Lake Improvement Association (BLIA), the Burnt Hills-Ballston Lake Business and Professional Association (BH-BLBPA) and the Town of Ballston. The project involves doing a clean sweep of accumulated winter debris on local roadways. Participants are urged to wear gloves and closed toed shoes. Volunteers can pick up their road assignments along with free tee shirts, refreshments and trash bags at 8 AM at the Ballston Lake Fire House. All are welcome! Bring your family, office, scout or 4H group! Join us as we give back and take care of our community! Download and print the flyer here to help spread the word!